“In a dark vision of the near future, a terrifying reality TV shows is taking place. 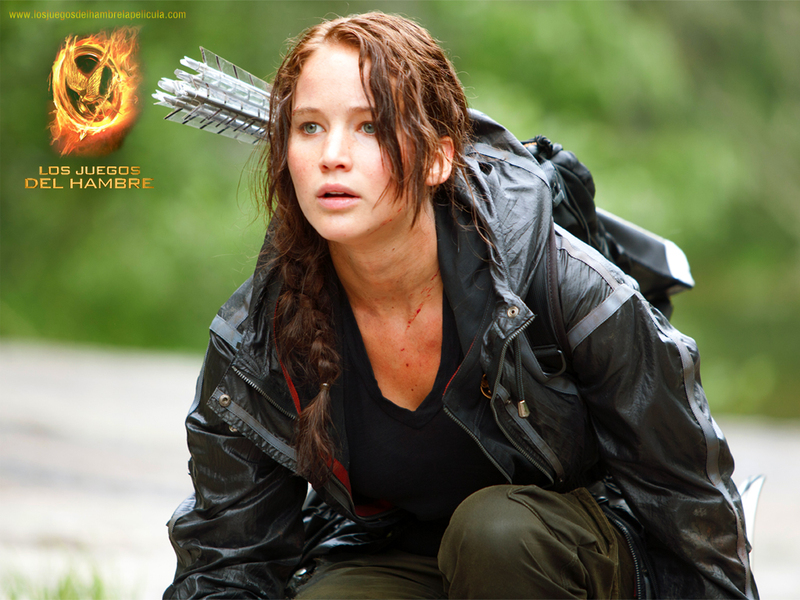 Twelve boys and twelve girls are forced to appear in a live event called The Hunger Games. There is only one rule: kill or be killed. 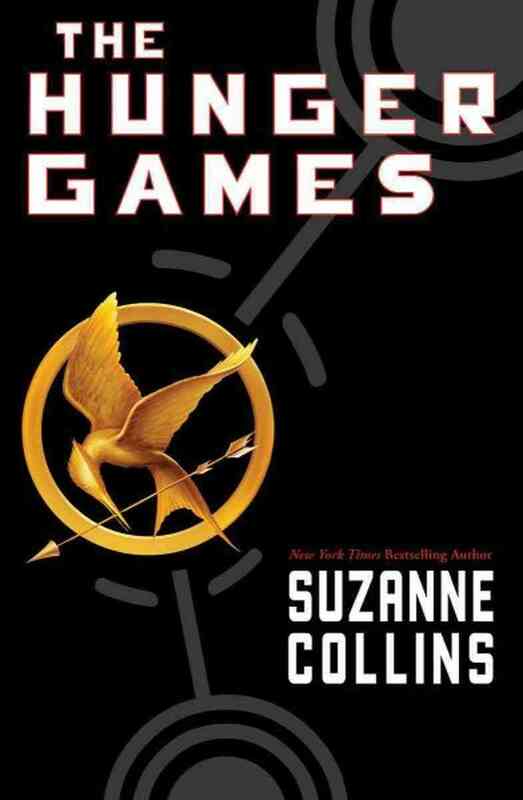 The theme in the book is all over the Hunger Games. I chose the paragraph at the cover of the book because it gives a short, simple and catching summary of the book. I chose this paragraph to point out how the arena looks. This paragraph is from the very beginning and there is also a Cornucopia in the middle of all the tributes where they can find food, medicine and weapons. 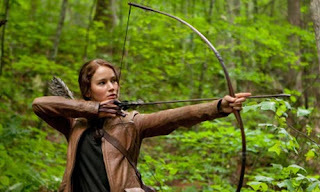 I would like to have a paragraph where Katniss describe the woods, but that was hard to find. Even though she said that it looks like the woods home, and she recognize some trees. I also think that this paragraph gives a great insight in how great the author writes. This section is important for the book because it gives the readers a nice view in how the arena looks like. That gives the readers the opportunity to make linguistic pictures. “The rules of the Hunger Games are simple. In punishment for the uprising, each of the twelve districts must provide one boy and one girl, called tributes to participate. The twenty-four tributes will be imprisoned in a vast outdoor arena that could hold anything from a burning desert to a frozen wasteland. Over a period of several weeks, the competitors must fight to the death. The last tribute standing wins. I think this section is a great paragraph to show the plot in the movie. The author describe who the tributes are, why they arrange the games, where the games take place, for how long the games are ought to take, and that there only can be one victor. This paragraph is significant for the book because it gives the readers a concrete, exiting and catching description about the plot. It also works good as a foreshadowed to find out who’s became the victor. Katniss changes a lot trough the book. But there is also a lot whit her that I think will never change. One point of development that clearly is important for the book is that she goes from thinking about her participate in the games as a death sentence to actually think that she and Peeta will come home, alive. When Katniss finds her fellow tribute Peeta, they start to cooperate. That results in a kind of trust, safety and feeling she never had before. I find the book quite exiting to read. The author writes in a very exiting way, and she always makes sure that you have to read the following chapter. Even though I find some of the chapter like “page-turners” there are some chapters I find quite heavy to read. Sometimes the author goes way to long whit the small events so you almost forget what you read about. That is definitely a minus. On the other hand, all the good page-turners, the various language and her exceptional way to write and keep the excitement trough the book makes the book all over quite good. I would recommend the book to boys and girls over twelve years old. Good for you! Glad you liked it even if some sections were slow and prescriptive. Think the paragraphs you chose were good as well. I am very enjoyed for this blog. Its an informative topic. It help me very much to solve some problems. http://www.trustwebsitehostingreviews.com Its opportunity are so fantastic and working style so speedy. I think it may be help all of you. Thanks a lot for enjoying this beauty blog with me. I am appreciating it very much! Looking forward to another great blog. Good luck to the author! all the best! I can rewrite my paragraph my own with the help of online services which are so easy to use. I will suggest you to have this.